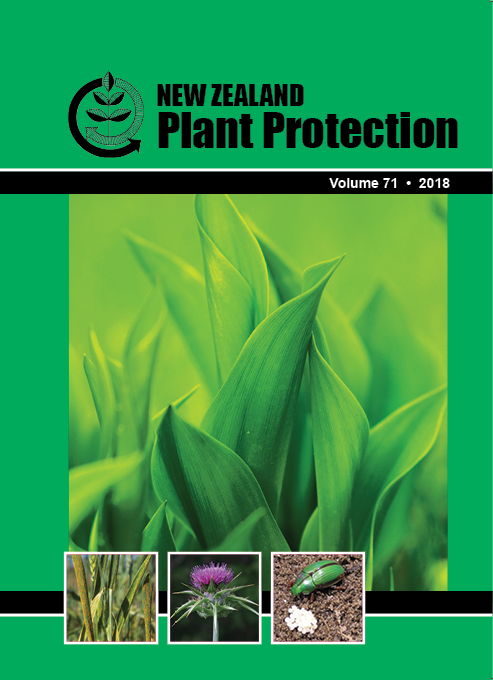 As the observed distribution of myrtle rust (Austropuccinia psidii) changes within New Zealand, many stakeholders are interested in the spread of this disease, resulting in a number of organisations carrying out various levels of monitoring. There is a need to compile these monitoring data from multiple sources and provide easy access to basic disease distribution information, for the benefit of all interested parties. This should include not only locations of positive myrtle-rust detections, but also the rate of monitoring in areas where it has not yet been detected (confirmed absence). This project provided visual information in the form of maps that are easy to interpret by general and/or specific users. Resolution was useful and informative while maintaining privacy of landowners. A series of maps is presented, showing the advance in sampling effort and the disease distribution across New Zealand, as measured from surveillance effort from Ministry for Primary Industries, Department of Conservation, botanical gardens, Plant and Food Research and the Myrtle Rust Reporter app (NatureWatch NZ). Further analysis of such data will inform ongoing management and research.